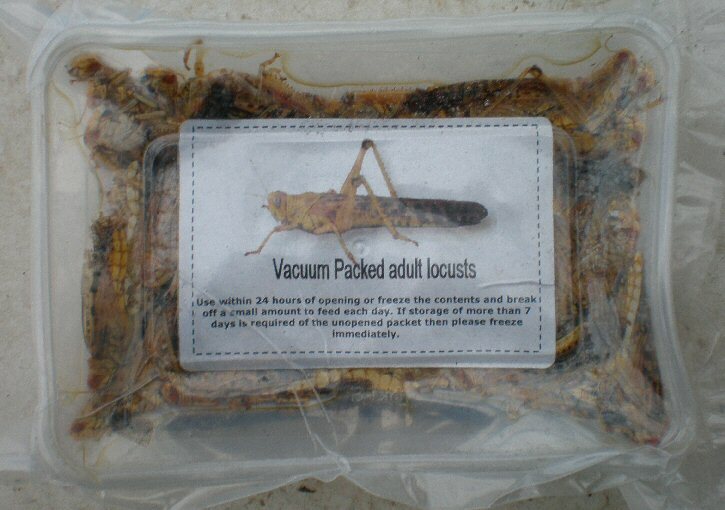 Vacuum Packed Adult Locusts bag of 50 | Livefood UK Ltd. Please freeze immediately on arrival. Use entire pack within 24 hours of opening or keep the remaining contents frozen and break off and defrost a small amount to feed each day.